Throughout history there have been two basic forms of economic systems, viz.. capitalism and communism. Capitalism entails a social system based upon doctrine of private ownership of means of production and free enterprise with right to retain what one produces. Communism is a doctrine of the means of production being owned by State, which also regulates economic activities and re-distribution of wealth. In capitalism, members of society get direct reward and are, therefore, motivated to work more. Communism is based on doctrine of a ruling class of intellectuals, bureaucrats and social planners deciding what people need and what is good for society and then, using the coercive power of State, regulating tax and redistributing the available wealth. In capitalism, people identify growth potential of wealth and focus on maximising production whereas in communism, accent is more on equitable distribution. Assessment of growth potential and optimisation of wealth generation thus gets obscured to that extent in latter system. Often, those owning means of production in capitalist societies succumb to greed and become unconcerned with interests of society. They start unscrupulous and reckless exploitation of natural resources and weaker members of society. This invokes criticism by academicians, journalists and politicians who brand capitalism as base, exploitative, immoral and dehumanizing and advocate for equitable distribution. Now, what is produced can only be distributed. History bears testimony to the fact that for this, capitalism provides more favorable and more conducive conditions. Capitalism scores a point over communism on this consideration. As for flaws in this system, the state can step in to check such activities as it finds against the overall interests of the society. It can restrict deforestation, regulate mining and prevent water and air pollution. Going forward, exploitation of labor can also be prevented by prescribing fair minimum wages, regulating working hours, ensuring medical care and financial security by introducing schemes such as provident fund and gratuity. It can even make private enterprise to voluntarily contribute towards social welfare and sports promotional activities in the country. In capitalism, state can exercise a check on private enterprise. However, in communism, if the state becomes unconcerned about common man or even takes coercive is ineffective, it is not easy for the people to find relief. There can be cases where voice of people may remain suppressed and the nation may languish under rule of an unbridled supreme council. In conclusion, capitalism appears to be a better choice. Only state should keep a watchful eye on it and be ready to step in when the situation so warrants. This is not true, You a re an idiotic Laissez-Faire capitalist. Capitalism is dumb and so is this article. 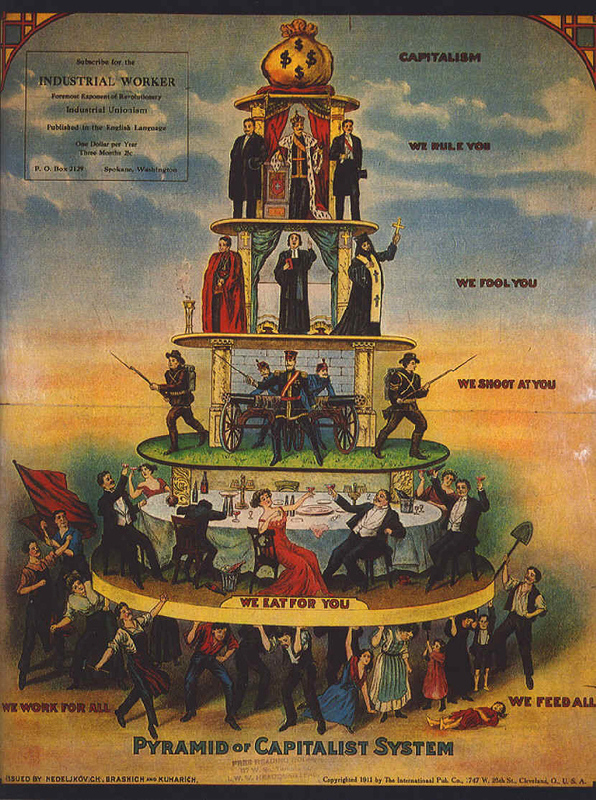 I am a Democratic Socialist and I believe in social equality, not your stupid hierarchy. I hate this article.